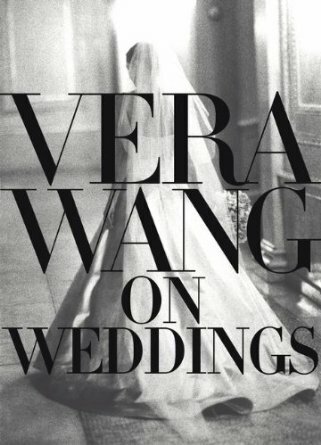 If you pride yourself on exercising frugality and regard ostentatious displays of wealth as being an affront to your fundamental principles, then you’d be well advised to steer clear of Vera Wang on Weddings. 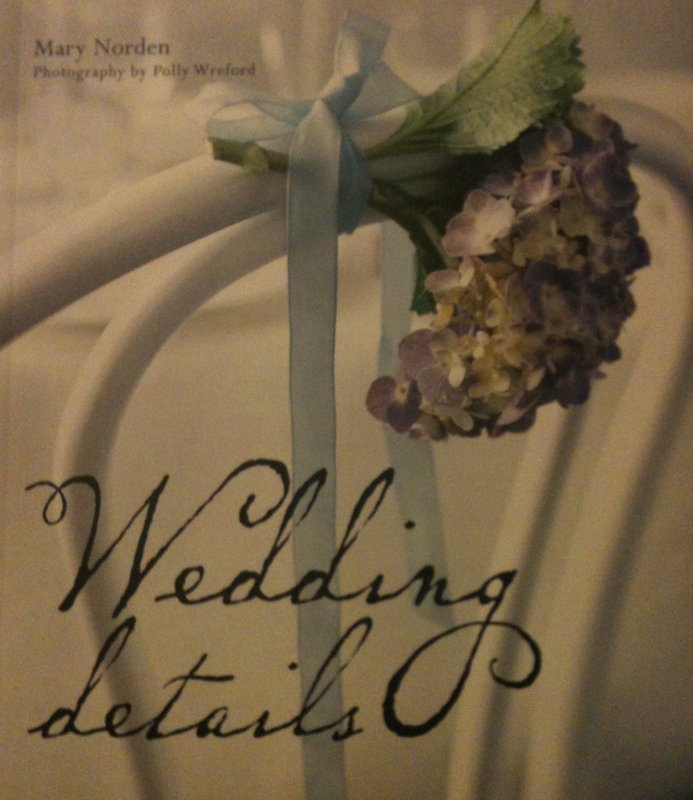 If like me, however, you enjoy a sense of vicarious indulgence from feasting your eyes on the sumptuous scale of luxury weddings, then this weighty tome is definitely one to consider buying for your coffee table. Although, relatively few readers will be able to emulate any aspect of the lavish weddings depicted, there’s no harm in having a few ideas up your sleeve just in case your numbers should happen to come up. Don’t be put off by this title. Debrett’s may be associated with the social mores of the landed classes but you don’t need to have any titled aristocrats on your guest list for this book to be of use. Even if you balk at the thought of being constrained by the shackles of convention, you still might find information to help deal with sticky situations such as top table seating plans when step-parents are involved or how to go about managing the wedding list. Of course, if you don’t want to buy the book, you could always consult the Debrett’s website. 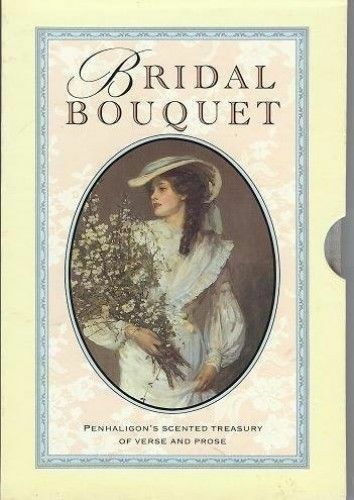 Unashamedly nostalgic, A Bridal Bouquet celebrates love, engagement and marriage through a collection of poems and prose from many of history’s most well-loved writers, including Donne, Keats and Hardy. Beautifully illustrated throughout with period paintings and sketches, the pages were originally infused with Penhaligon’s orange blossom scent, but given that it was last published in 1991, I guess it would be hard to find a copy in which that sweet aroma hasn’t completely faded. Notwithstanding, if you can successfully track down a copy, it makes for a lovely keepsake, as well as being a valuable source of potential wedding ceremony readings. My copy is particularly special to me because I found it at the back of my Mum’s wardrobe after her death. I guess she hid it there in hopeful anticipation that one day I would meet and marry the man of my dreams which, of course, I did. Fig.4. Packed full of inspiration for crafters and those blessed with manual dexterity. 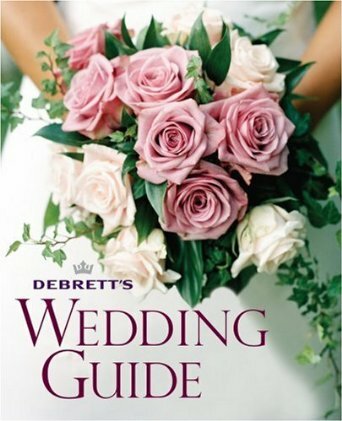 As visually delightful as it is practically useful, this pint-sized book is packed full of ideas for brides who are looking for ways in which they can personally put the finishing touches to their wedding day. 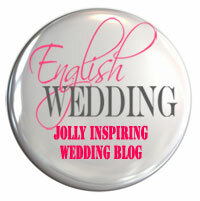 From posies hand-tied to the back of chairs to home-baked edible wedding favours, the emphasis is more upon spending time rather than money, so it’s a great source of inspiration to anyone organising a wedding who is both crafty and creative. Fig.5. Stunning photography combined with a highly informative commentary. Available from the V&A bookstore. Written to accompany the 2011 exhibition held at the Victoria & Albert Museum, Edwina Ehrman, curator of textiles and fashion, examines the evolution of the wedding dress from the start of the 18th century until the present day. 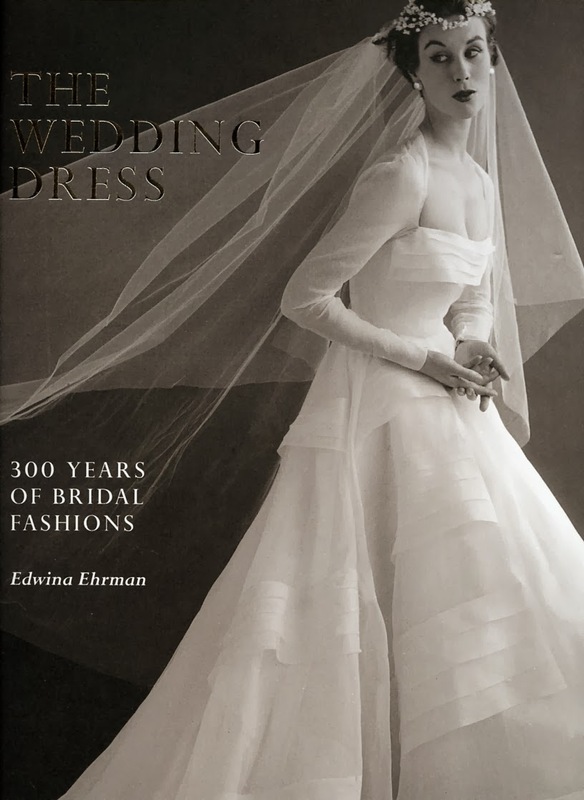 Crisp photography and a comprehensive commentary make this a valuable source of information for those who want their wedding gown to reflect the style of a particular historical period. And for everyone else, it’s a lovely book just to leaf through and enjoy at leisure. 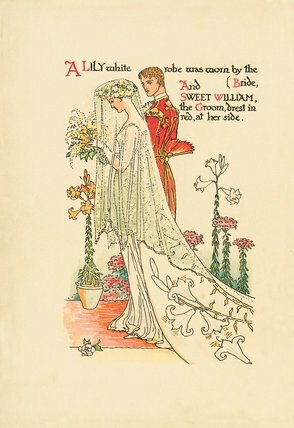 Walter Crane, a leading light in the arts and crafts movement, is particularly well-remembered for his charming, and hugely influential, contribution to children’s book illustration. In A Flower Wedding, he employs this style to illustrate a delightful poem about two wall flowers describing the wedding of their floral neighbours. Originally published in 1905, this charming little cloth bound book was reprinted by the V&A to accompany their 2010 Cult of Beauty exhibition and is a personal favourite of mine. 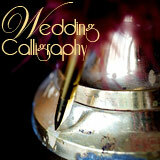 Indeed, I found it so enchanting that I bought two copies: one to keep for myself and one as a gift for MoH. 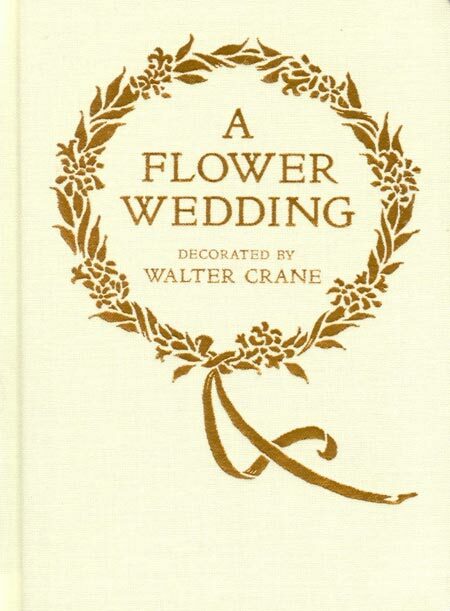 Since I chose an engagement ring called ‘Bloom’, walked down the aisle wearing ‘Flora’ and embellished every possible aspect of A Warwickshire Wedding, including our P&J monogram, with representations of hydrangea petals, it’s hard to imagine a more fitting keepsake than a book called A Flower Wedding. It could almost have been written just for me!